Attracting talent to the company is far more than just a need: it is a way of understanding the present and the future. It is a commitment to innovation. Focke Meler is committed to talent and those professionals who can offer the right know-how to design the way forward. Martín Pastor is a good example of this. He is a doctor of physics, with experience in complex systems and material sciences. His career has led him to work in different fields of basic, applied and industrial research. 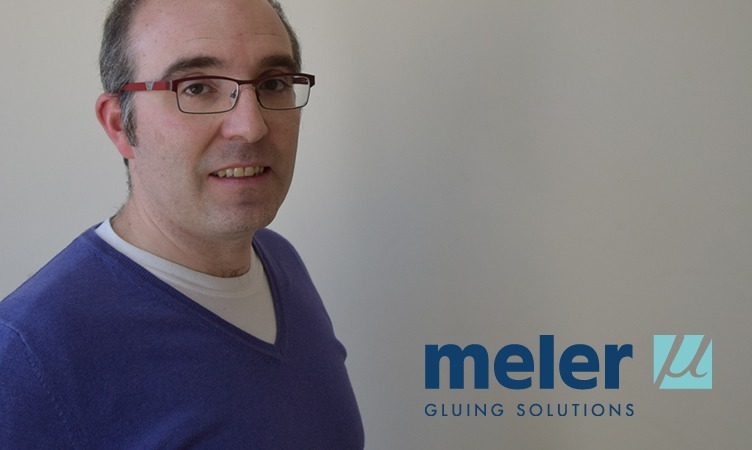 Before joining our team, Martín was carrying out research work at the University of Navarra when in 2014 he became a technician in the Focke Meler R&D Department. His contract is co-funded by the “Torres Quevedo” talent promotion programme. The aim of this programme of the Ministry of Economy and Competitiveness is the specialisation of human resources in R&D+i. He is passionate about Science and Technology. Martín, what is your role in Focke Meler? My work focuses on developing R&D projects in reference to new adhesive feeders, conceptualising the R&D plan, having contact with technology centres, universities and other external actors, planning experiments and, finally, interpreting results. How to handle adhesives in an ideal way according to the type of application is the focus of my activity. How do you value the fact that a company like Focke Meler trusts in you and your experience? Very positively. I am proud that Focke Meler trusts in a person with experience based on basic research to help develop projects for industrial purposes. What is needed to transfer talent to the company? Simply put, interesting projects and truly believing in the talent and know-how of people working in research institutions. What is achieved by incorporating research into a business project? The chance of success increases. We gain experience and future challenges will be more ambitious and greater. In Focke Meler, we try to use the scientific method: hypothesis, verification and repetitiveness. We identify the good practices in our work, which results in higher quality. Is talent development stimulated by the company itself? Yes. All the tasks we perform involve some type of challenge. Yesterday’s solution does not always work for tomorrow. It is important to train talent every day. What was your move from academia to the business world like? It was a desired and natural move. I felt the personal need to bring my industry experience and training to society. Focke Meler offered me the opportunity to develop new knowledge for specific industrial applications and also made it possible to combine my position of associate professor with my daily work, maintaining great professional autonomy within the company. Does the way knowledge is transferred change when it comes from a university to when it is in a company? Of course: many aspects in the business world are confidential. By contrast, in the field of science, the scope of the research should be as widely disseminated as possible. Are synergies generated between the academic and business world? Yes, the company benefits from the know-how developed in basic research, and basic research focuses its interest on problems of industrial interest. The purpose of science is to push back the boundaries of knowledge in order to benefit society. Does Focke Meler work closely with technology centres? At the moment this is sporadic. We are a group with a lot of talent able to develop our own tools. In addition, the world of dispensing adhesives is of great technical complexity. Not all technology centres are able to tackle complex problems with reasonable effort for a company like FOCKE MELER. What does it mean for you to have a Torres Quevedo grant and be part of this programme to transfer talent to companies? As part of Focke Meler, it means having financial support that allows the project to be more ambitious. Personally, it means professional recognition for the interest and viability of the R&D project in which I am involved and for my professional career. Can you combine your work in Focke Meler with other academic activities? Fortunately, yes. My schedule is quite flexible which means I can get away to do my teaching activities. What’s more, the company management allows and encourages this. Finally, Martín: What do you gain from working in Focke Meler? I never stop learning, mainly from my colleagues. They teach me to work better every day. The challenges are exciting; we try to achieve the technological developments of “CHAMPIONS”.